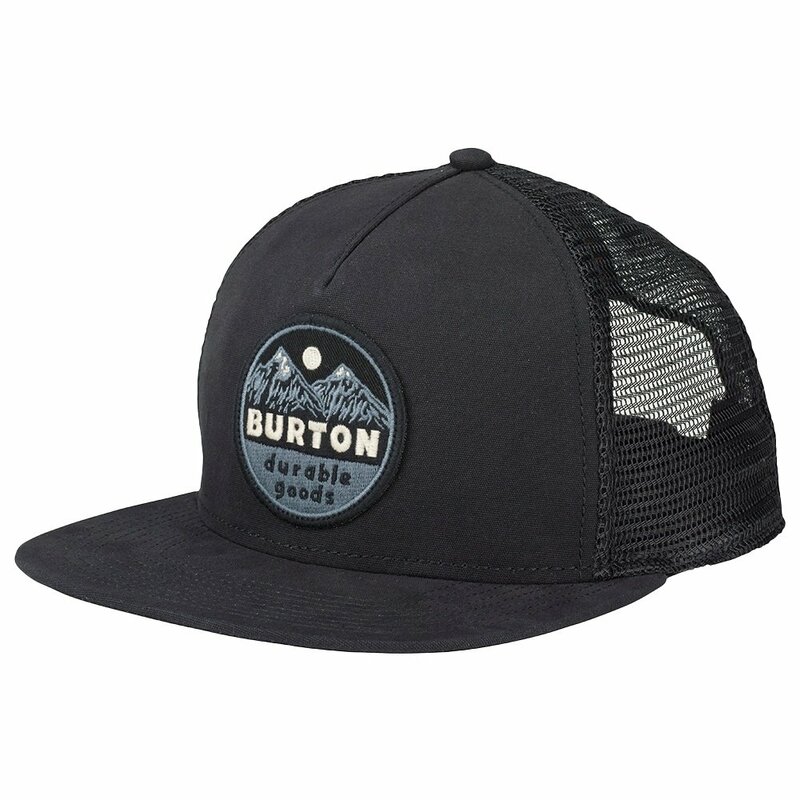 The Burton Marblehead Hat takes the classic trucker cap design and remixes it for modern mountain style. Canvas front panels are washed for a vintage, worn-in look, while the back is made with open-hole mesh. An easy snap closure in back adjusts to fit your head. Canvas and mesh panels for the classic trucker look. Embroidered patch in front for premium style. Adjustable snap-back closure for a comfortable fit.